This is another spectacular and incredibly rare gold nugget crystal specimen from Round Mtn. It is made up entirely of naturally occurring octahedron, trigon and cube gold crystals. It is so very rare to see such an incredible gold crystal specimen for sale. As you can see, I have the finest collection of these very rare gold nugget specimens that you will see for sale anywhere. 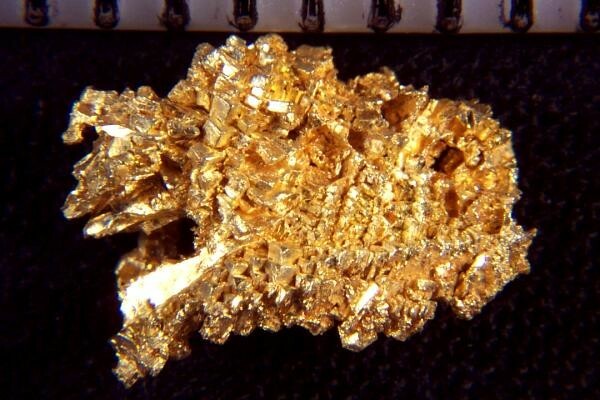 This gold specimen would make a spectacular addition to any gold nugget collection. The size is 3/8" long (10 mm). 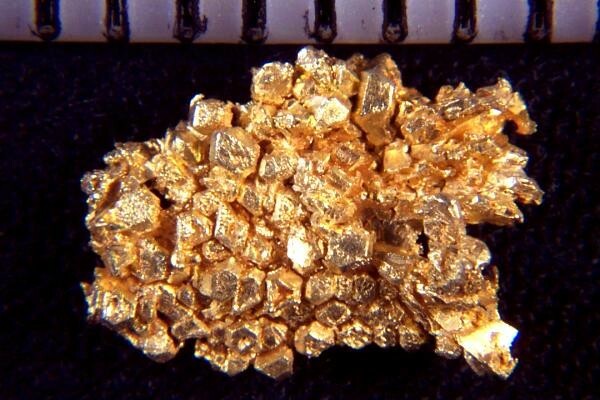 The weight of this incredibly rare gold specimen is 9.4 Grains (0.61 Gram). Don't pass up the opportunity to own such a fantastic gold crystal specimen.